Marine Corps Marathon: A Running Tradition captures the soul of this legendary event and explains what the "People’s Marathon" represents. More than 330,000 runners have crossed the finish line since 1976. Their stories are captured within these pages: including their joy and triumph, as well as their mental and physical pain. To support the text is a collection of pictures dating as far back as 1976. 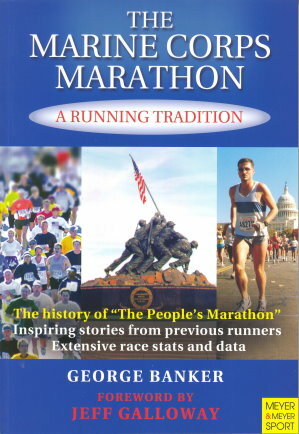 The appendices are an extensive collection of race statistical facts and top performances.About the Author:TSgt. George Banker, U.S. Air Force Reserves (retired), serves on the Ad Hoc Publicity Committee of the Marine Corps Marathon as the historian. He is a journalist and photographer. He received 14 military decorations, including the Air Force Commendation Medal, Vietnam Service Medal, Republic of Vietnam Gallantry Cross w/Palm, and Republic of Vietnam Campaign Medal. He was raised in a Marine Corps family. 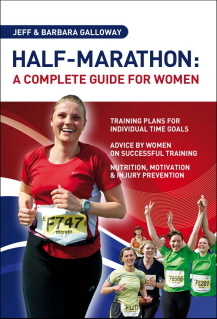 Half-Marathon: A Complete Guide For Women by Jeff Galloway now offers together with his wife a state-of-the-art book on the highly popular half-marathon distance especially for women.